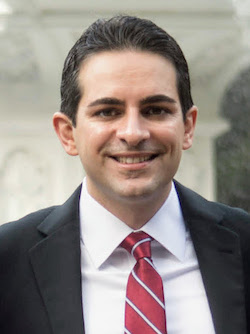 Dr. Nemati obtained his PhD degree in Electrical Engineering and Computer Science from the Massachusetts Institute of Technology (MIT) in 2013. While at MIT, he was a member of the Laboratory for Computational Physiology(LCP) and the Laboratory for Computational Physiology and Clinical Inference (CPCI) and a research fellow at the Brigham and Women's Hospital and the Harvard Medical School, where he held a National Research Service Award (NRSA). Upon completion of his PhD degree, Dr. Nemati joined the Harvard Intelligent Probabilistic Systems group (HIPS) as a James S. McDonnell Foundation (JSMF) postdoctoral fellow in complex systems. His postdoctoral work was focused on development of deep learning algorithms for pattern discovery in massive temporal biomedical datasets. He is a recipient of a Mentored Career Development Award (K01) in biomedical big data science (FOA: HG14-007) through the NIH Big Data to Knowledge (BD2K) initiative (2016-2020). He has published in several areas of research, including advanced signal processing and machine learning, computational neuroscience/brain machine interface, physiological control systems, predictive monitoring in the intensive care unit, and nonlinear and nonstationary multidimensional time-series analysis in massive temporal biomedical databases, resulting in over 50 peer-reviewed publications.